Yolanda “Tongolele” Montes (born 1932) is an actress and exotic dancer. Born Yolanda Ivonne Montes Farrington in Spokane, Washington, she danced in San Francisco nightclubs as a teenager before moving to Mexico City as a cabaret performer. She made her film debut in Nocturno de amor (Nocturne of Love) (1947), followed by La mujer de otro (1948) and a breakthrough role in ¡Han matado a Tongolele! (1948). Montes would go on to co-star with comedic actor Germán “Tin-Tan” Valdés in El rey del barrio (The King of the Neighborhood) (1949) and ¡Matenme porque me muero! (Kill Me Because I’m Dying!) (1951). Known for her seductive dancing and risqué wardrobe, Montes came under fire from Mexico’s Legion of Decency, resulting in few film appearances in the late 1950s. She would return to the silver screen with Amor a ritmo de go go (1966) before embarking on a self-imposed hiatus in the 1970s. Following a cameo in Las fabulosa del reventón (1982), Montes continued to work intermittently through the next three decades in film and television. In 2012 she was the subject of the tribute “Tongolele, the Spirit of an Era” at El Teatro de la Ciudad Esperanza Iris and made a brief appearance in the film El fantástico mundo de Juan Orol (The Fantastic World of Juan Orol) (2012). 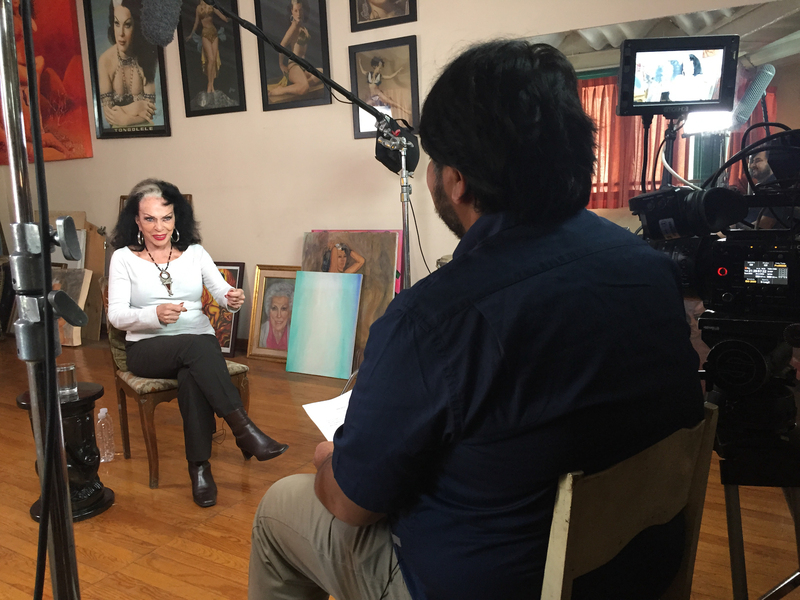 Actress/dancer Yolanda Montes is interviewed by Michael Ramos-Araizaga at her home in Mexico City on September 22, 2015. Yolanda Montes reflects on her upbringing in Alameda, California, musing on her adolescent interest in dance and theater. She credits her grandparents with introducing her to Tahitian music, which in turn fostered interests in exotic culture and dancing. After briefly touching upon her formal education, Montes discusses her experience dancing in San Francisco nightclubs as a teenager. She shares her recollections of moving to Mexico City and performing in the Tivoli Theater, where she would adopt the stage name Tongolele. 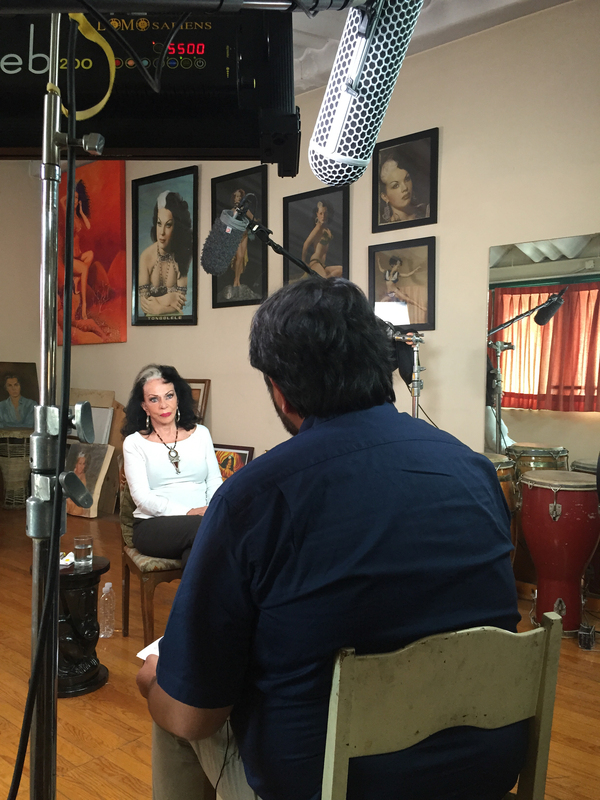 She discusses her early film appearance in ¡Han matado a Tongolele! (1948), her struggles as a young actress, and memorable moments co-starring with Germán Valdés (aka Tin-Tan) in the films El rey del barrio (The King of the Neighborhood) (1949) and ¡Matenme porque me muero! (Kill Me Because I’m Dying!) (1951).